When a married couple with children is initiating divorce, management of the parent-child relationships are of the utmost importance. In most cases, the couple will be required to create a parenting plan, which spells out the rights and responsibilities of each parent. The central goal of this document is to ensure the best interest of the child(ren). While creating a strong parenting plan is important for any family, it is of particular importance for LGBT families, who may face discrimination and challenges due to legal parentage issues. In this article, we’ll introduce a few key queries to consider when navigating this sensitive topic. What is a child visitation plan? Have both partners established legal parentage? As outlined in a previous post, establishing parentage is not as straightforward for the LGBT community as it is for heterosexual couples. Legal parentage status will come into play during the establishment of custody, and can therefore affect the creation of a visitation plan. Where will the child attend school? Even though the parents may live in different towns, it is in the best interest of the child to remain at a single school, where they can have consistency of classes, and maintain friendships and activities. In most cases, it is a good idea for a child to stay in their current school when possible. This may affect where each parent decides to live. Does the child have important extracurricular activities? If a child is on a sports team, attends music lessons, or is part of a club with regular meetings, consider when and where they occur, and whether one parent’s schedule is more amenable to accommodating those activities. What opportunities can you provide for your child? Next, each parent should consider their own work schedules and responsibilities, and consider which days may provide the most opportunity to provide for their child. For example, perhaps one parent works Sunday-Thursday, and so would be able to best provide for the children on other days. Or, maybe one parent travels out of state for work once a month, and a weekly schedule may be best, so that they parent the child when they are in town. As another example, perhaps one parent coaches the child’s sports team every Wednesday. As this can get relatively complex, it’s a good idea to write down all the commitments and benefits of each parent, and take these into consideration. How should holidays and school breaks be handled? Holidays and school breaks are a great opportunity to share parenting time, particularly for parents who live far apart. However, keep in mind that the best interest of the child could also include summer camps or activities that don’t heavily involve either parent. This is also the time to consider how to handle vacation and travel. Where should the child live? 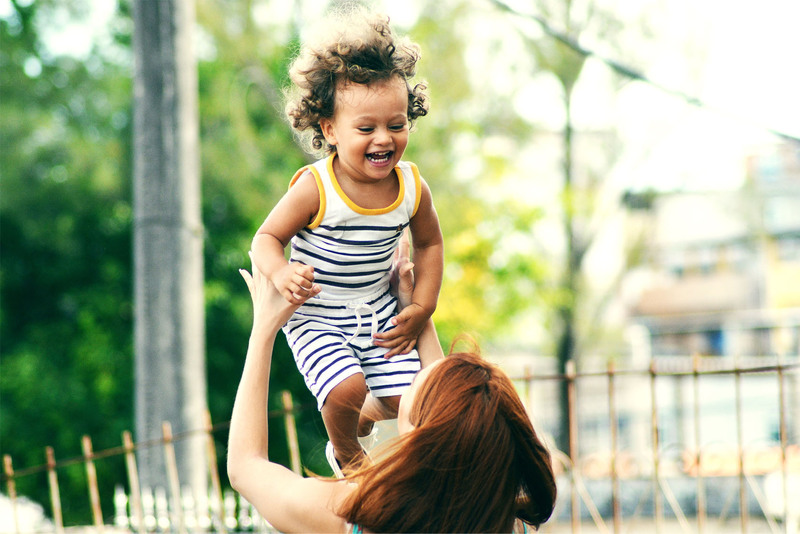 In cases where one parent is determined to be the primary custodial parent, the answer is simple–they will primarily live with that parent. Then, build in the visitation plan for the other parent based on the questions answered above. For example, if a 70/30 custody agreement was reached, the child could stay with the non-primary custodial parent every third week, or two days each week. In 50/50 custody, determining housing may take some creativity. The first question, as always, is–what is in the best interest of the child? If one parent plans to move to a different town, where the child would have to attend another school, that could cause problems. However, if both parents will live relatively close together, resulting in easy transportation options, there are a few common 50/50 arrangements. Examples include: the child changes homes every week, or every two weeks; three days at one home and four days at another, then reverse for the next week; or alternating every two days. In this post, we’ve outlined just a few of the questions to ask yourself when building a visitation plan for LGBT divorce. Not sure where to begin? Our attorneys are highly experienced in LGBT family law, and can work with you to create a strong visitation plan that is best for your child. Separation and divorce are never easy, but having a talented and compassionate attorney on your team can help the process run smoothly. Contact us to schedule a free consultation at our West Hollywood or Palm Springs offices to see if we may be the best fit for you.